The Rosetta Mission was a daring shot at landing on a comet as it made it's way through the inner solar system in 2015. 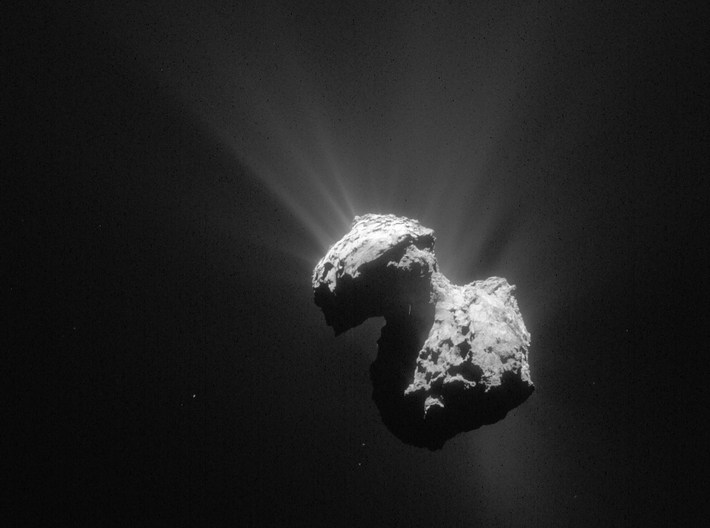 The target was Comet 67P / Churyumov-Gerasimenko, discovered in the late 60's. 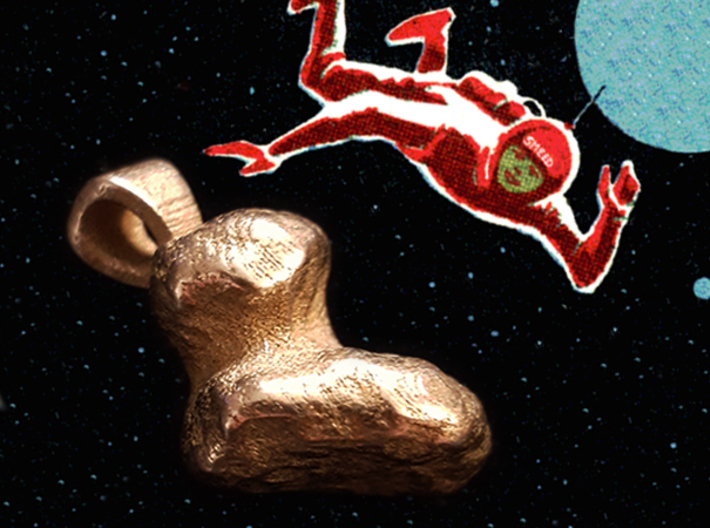 The mission included an orbiter and a lander which were abel to get close up images of the small body's rocky surface. The comet was mapped in 3D, and this model is made from the same 3D mapping released by NASA after the mission. 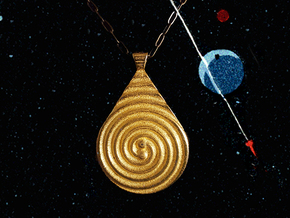 This pendant is of medium heavy weight and is an accurate scale representation of the comet measuring about 1 in tall. 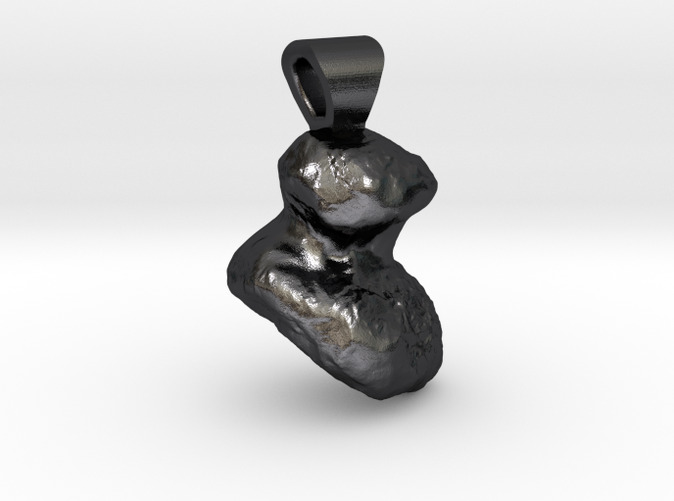 Keep the wonder of space exploration close to heart and combine this pendant with your favorite chain or keychain.